Dhaka, 15 April, Abnews: A cargo carrying 775 metric tonnes of coal capsized in the Pashur River in Mongla upazila near Sundarbans on Saturday night. Commander Oli Ullah, harbour master of Mongla Port, said a cargo vessel named MV Niloy-2 carrying 750 metric tonnes of coal sunk early Sunday. The incident occurred as the cargo was following a wrong route and stuck in a hidden char (island), he added. 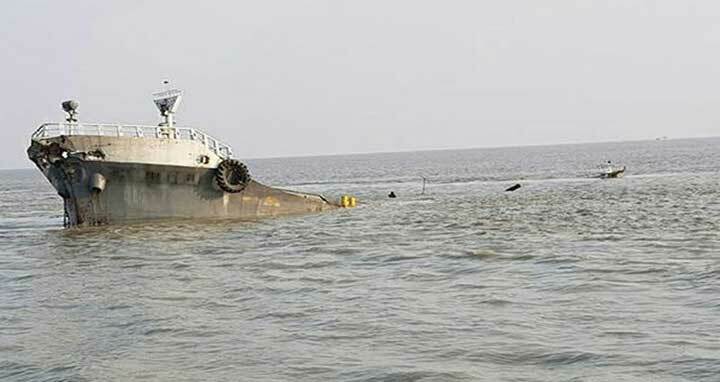 On information, members of Mongla Coast Guard and the rescue vessel Shib Shah reached the spot and rescued seven staffs including sailors and crews from the capsized vessel, he said. Mongla port authority confirmed the matter.